Celebrate your Sweeties birthday with us! Ideal for kids 12 and under. We offer hosted and non hosted parties. You can rent our party room for $25.00 per hour and be your own host or you can elect to have a host for an additional $35.00. 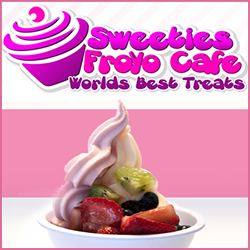 Our hosted parties include games, prizes, goody bags for all kids attending and $5.00 FroYo cups. The birthday boy or girl will also receive a bisit from “Sweetie” our ice cream mascott. Get Under the Sea for your Birthday at the Downtown Aquarium in Denver Colorado! The Downtown Aquarium has your underwater adventure awaiting you and your guests. Wonderful party packages include the Bottom of the Sea Birthdays including: the Captain Birthday Package, the Admiral Birthday Package, the Walk the Plank Birthday Package, the Swim with the Mermaids Birthday Celebration, (have the Mermaid Appear reserved in advance), Under the Sea “Sweet Teen” Party, and so much more . 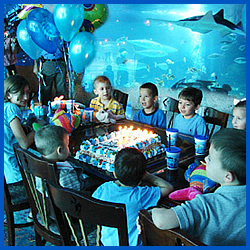 . . visit website for package details and book your party today as good times fill up quickly at the Downtown Aquarium! Tags: Birthday Ideas in Denver, Denver Aquarium, Denver Aquarium Birthday Parties, Denver Aquarium Party, Denver Aquarium Party Packages, Denver Birthday Party Venues, Denver CO Childrens Party Location, Denver CO Great Birthday Locations, Denver CO Party Venue, Denver Colorado Kids Birthday, Downtown Aquarium, Downtown Aquarium Birthdays, Downtown Denver Aquarium Birthdays, Great Places for a Kids Party in Denver, Have a Birthday Party at the Downtown Aquarium in Denver, How much are Birthday Parties at the Downtown Aquarium in Denver? Bananas Fun Park in Grand Junction Colorado is your place for Birthday FUN! Book your next Grand Junction Birthday Party at Bananas Fun Park and ensure that your birthday child and guests will have a great time! 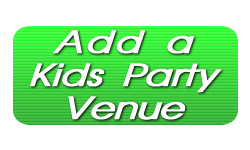 With attractions like Go-Karts, Lazer Tag, Lazer Maze, Batting Cages, Inflatable Playland, Mini-Golf, Mini-Bowling, Bumper Boats, a huge arcade, and our Congo Cafe, your party will be a hit! Call today or visit our website for specials and more information. 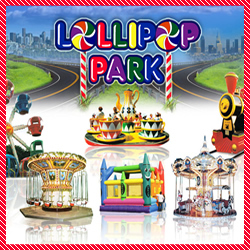 Lollipop Park is an Indoor Children’s Amusement Park with a giant 35 foot tall Ferris Wheel, Horse Carousel, Teacup Ride, Swing Ride, Whip Ride, Air bounce and Choo Choo Train! -No Minimum Number of Kids Required! Unlimited Rides & Unlimited time in our 10,000 square foot facility! Rain or Shine! Adults ride our Ferris Wheel and Teacup for free! Our 30th year in business! Tags: Amusement Parks Denver, Birthday Places In Denver, Childrens Indoor Party in Denver, Denver Kids Party Places, Denver Kids Party Venue, Highlands Ranch Kids Party, Indoor Party Places Denver, Kids Birthday Party places Colorado, Kids Party in South Denver, Kids Party Places metro Denver, Lollipop Park in Denver, Metro Denver Childrens Party Venues, Party Places South Denver, Things To Do With Kids in Denver, Things to do with kids indoors Denver, Where is Lollipop Park Denver? 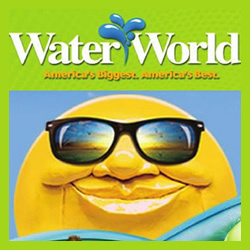 Celebrate your birthday in the sun and fun at Water World in Denver Colorado. Water World offers the perfect birthday party package for that summer fun water park birthday celebration. Party package (minimum of 8 guests) include unlimited access to the park, lunch (hot dog or cheeseburger, fries, drink, personal pizza also a choice) – Ice cream cones, a birthday cake with napkins and plates and cake cutter, 2 tables in the shade reserved all day, and 1 personal tube rental wristband per guest. Don’t forget about Cabana birthday upgrades! Tags: Ticket Prices to Water World, Water World, Water World Birthday Parties, Water World Birthday Party, Water World Birthday Party Scheduling, Water World Birthdays, Water World Colorado, Water World Denver CO, Water World Denver Colorado, Water World Party, Water World Party Pricing, Water World Pricing, Water World Tickets, Water World Westminster, What comes with a Birthday Party Package to Water World? 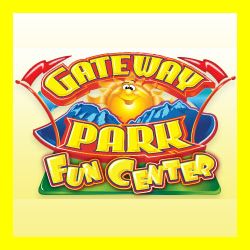 Celebrate your party at the Gateway Park Fun Center in Boulder Colorado. Great attractions at Gateway Park Fun Center include mini-golf, go-karts, a great snack bar, batting cages, the human maze, the arcade, the driving range, inline hockey, and more! Check out the website for Birthday Party packages to Gateway Fun Park and reserve your party time a.s.a.p. as the best party times book up quickly! Tags: Amusement Park Boulder, Boulder Arcade, Boulder Batting Cages, Boulder Birthday Party, Boulder CO Birthday Party Venue, Boulder CO Fun Park, Boulder Colorado Kids Party, Boulder Colorado Mini Golf, Boulder Driving Range, Boulder Go-Karts, Boulder Mini-Golf, Celebrate a Birthday Party in Boulder, Childrens Party Venues in Boulder, Fun Parks in Colorado, Gateway Fun Center, Gateway Park Fun Center, Go Carts Boulder, Kid Party Venue Boulder, Kids Go Karts Boulder, Mini Golf Boulder, Where to have a Kids Party in Boulder? 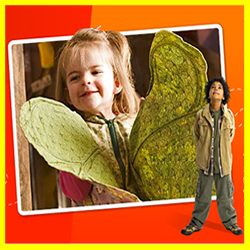 Give the best of both worlds to your child on his or her next birthday in the Denver Colorado area – celebrate a kids party at the Denver Childrens Museum. The Childrens Museum of Denver has several options available for a great childrens birthday party. Party pricing by the number of guests in your group makes for affordable event planning. Parties include free all day play – a decorated room including table cloth, center-pieces and room decor, invitations and thank you’s, discounts on membership, giftshop, and cafe the day of the party and more! –Attention– The Village now seems to be closed, but we’ve been told they still have cooking classes available . . . The Village at Edgewater is a restaurant serving breakfast, lunch, and dinner. We have a 1,500 square foot play area in the middle with classrooms for art, music, and cooking. Rent a private room for your birthday party, get all day passes into the play area, and even supplement your party with a class. We have an awesome party menu as well. Our food is high-end at low-end prices.